Evan has always been a communicator, connector and advocate for her community. She thinks like a designer, measures like a teacher and implements like a data-scientist. She joined Fíonta following a contract role in a millennial career-focused social enterprise, preceded by journalism and communication experience across Washington, DC. 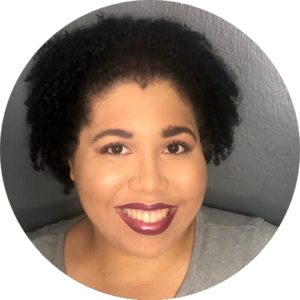 Some of her proudest moments at Fíonta have included process improvements in internal technical support, technical system onboarding, growing her Salesforce administrator chops and developing training opportunities to increase efficiencies across Fíonta. Evan lives in an apartment in Northeast DC, where she can be found hosting community dinners and pampering parties. In her spare time, you can find Evan in yoga, barre, zumba, preparing curriculum and grant making for her church, at the theatre, or walking around the city trying to get in her 10,000 steps. Evan also dedicates time to work with youth and young adults in impact communities to promote equity in education, technology and entrepreneurship in Northwest and Southeast DC.